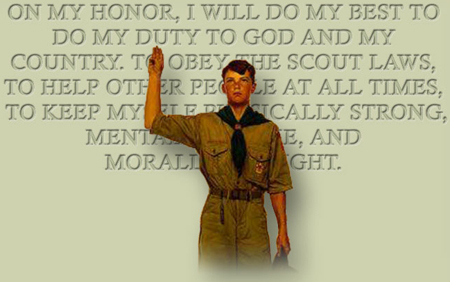 A story about a Presbyterian church, the Boyscouts, and Mormonism. Back in September we reported on a sad co-mingling with Mormonism by a Presbyterian church (see Compromising with a cult), but today we are pleased to report of another Presbyterian church not willing to compromise with LDS, much to the chagrin of some Mormons. Hats off to Christ Covenant Church for being one of the few churches left in America who stills sees a difference between truth and error, right and wrong, and light and darkness. “Mormon Bishop Rowlan, who heads the Stokes’ Weddington church, would not say whether he would be open to naming a non-Mormon as a Scouting leader. The folks over at Mormon Coffee did a great job answering some of the remarks made in the article found on their site here, and they even went so far as to answer inevitably predictable questions here.